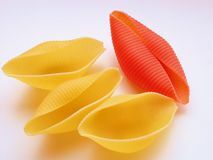 Pasta shells with copy space. 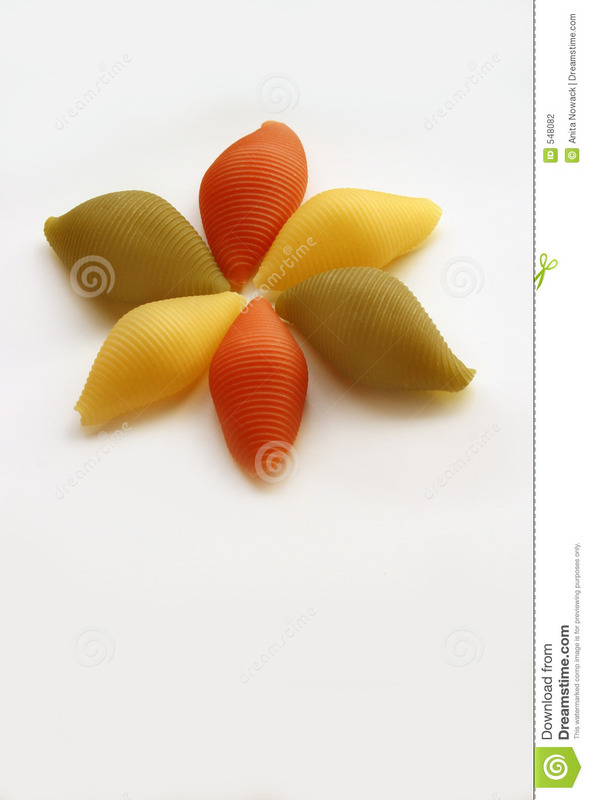 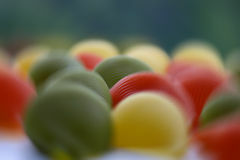 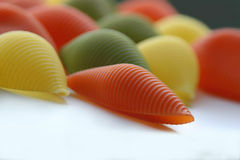 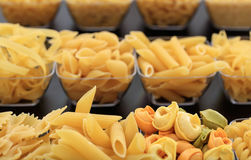 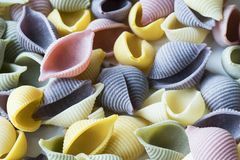 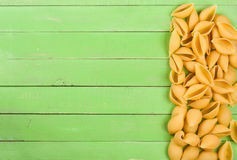 Colorful pasta shells arranged to look like a flower over white background. 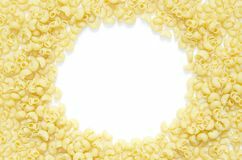 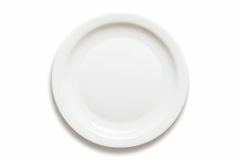 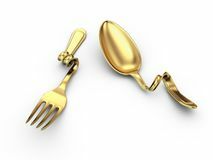 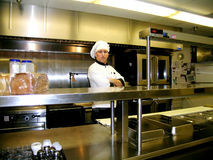 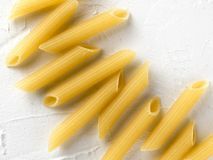 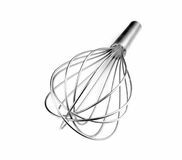 Symbol of italian cuisine. 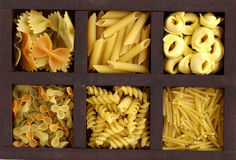 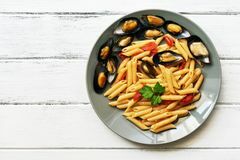 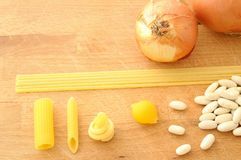 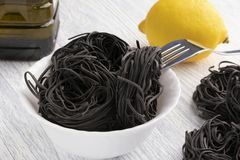 Pasta is believed to have been introduced into Europe during the Mongol invasions in the 13th century.